Are astronauts discouraged from drinking coffee while in space? 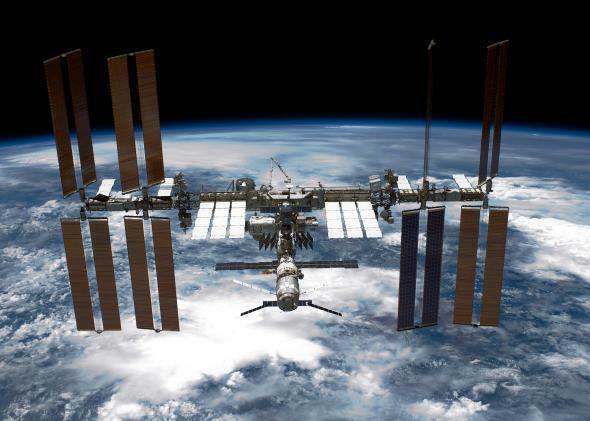 Astronauts on the International Space Station can sip their morning coffee and enjoy the view. As far as I can recall, I was never discouraged by anyone from drinking coffee while living aboard the International Space Station. For me, morning coffee was one of those wonderful psychological benefits reminding me of life here on Earth. My coffee intake was limited to “two cups” per day. Two cups is actually two bags of coffee on ISS. While typically calling for 8 to 10 ounces of hot water to mix with the freeze-dried coffee within, I usually upped the amount of water to 12 to 14 ounces, thereby giving me more coffee to drink and perhaps a less strong version of this uplifting caffeinated beverage. My crewmates, Station Commander Fyodor Yurchikhin and Flight Engineer and Soyuz Commander Oleg Kotov, both loved coffee, as do many Russians. Fyodor was a black coffee kind of guy, while Oleg liked his black with sugar. Seemed like our tastes in the coffee bean nectar category fit together perfectly. However, I learned early in our five-month stay that they both drank way more coffee than I did, and once their individual stashes were depleted, they went after mine. It wasn’t until I called the Mission Control Center and requested more of my personal coffee choice be sent “up” that the STS-118 crew—led by soon-to-fly-for-a-full-year Commander Scott Kelly—brought us an ample new supply. After that point (August 2007), I had plenty of coffee for the remainder of my stay in orbit. My final coffee story came about in the Russian Service Module. Enjoying my morning breakfast and prepping a fresh bag of hot coffee, I had attached the silver bag to the Russian system that pumps the hot water into the bag. Counting the “hum” of the pump’s cycles—our way to easily measure the amount of water entering the bag—was going well until Oleg asked me to help him on the floor of the module. Thinking it would only take a second or two, I left as the bag kept filling. Seconds went by quickly, and the bag continued to fill until it burst at the seam, sending scalding hot coffee (with creamer and sugar) flying onto the surface of Oleg’s bedroom door. With a scream (and maybe a cuss word or two), I flew to the system and closed the appropriate valve, stopping the flow of water into the bag and onto the carpetlike covered door. I felt horribly defeated and embarrassed, but Oleg told me in near-perfect English, “Do not worry, Clay. It has happened before. Fyodor did it too!” With a hearty laugh and not feeling quite so bad anymore, I cleaned up the mess and life continued with the crew of Expedition 15.
International Space Station: Is it necessary to “abandon” the ISS (as is described for the near future)? What will become of it and why? Astronauts: Is time spent in space logged in an aeroplane-style logbook? Space Travel: How would you explain to an 8th grader, who knows just the basics of physics, the working and the purpose of NASA’s Voyager 1 and Voyager 2?